Edward Frenkel is a professor of mathematics at the University of California, Berkeley, and was previously on the faculty at Harvard University. The winner of the Hermann Weyl Prize in mathematical physics, he has contributed articles to the Wall Street Journal, the New York Daily News, Slate, and the Scientific American blog. 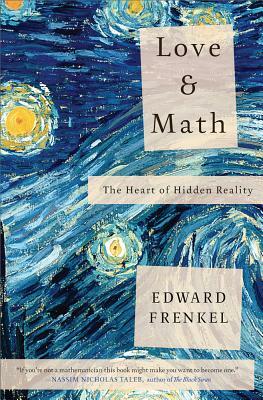 "[Frenkel's] winsome new memoir... is three things: a Platonic love letter to mathematics; an attempt to give the layman some idea of its most magnificent drama-in-progress; and an autobiographical account, by turns inspiring and droll, of how the author himself came to be a leading player in that drama." "With every page, I found my mind's eye conjuring up a fictional image of the book's author, writing by candlelight in the depths of the Siberian winter like Omar Sharif's Doctor Zhivago in the David Lean movie adaptation of Pasternak's famous novel. Love and Math is Edward Frenkel's Lara poems... As is true for all the great Russian novels, you will find in Frenkel's tale that one person's individual story of love and overcoming adversity provides both a penetrating lens on society and a revealing mirror into the human mind."